Din hella waterproof oplader. De kabel is voorzien van een kabelzekering. Vanaf de lader kunt u met een passende (zie gerelateerde artikelen voor passende smartphone kabels) oplaadkabel uw apparaat opladen. 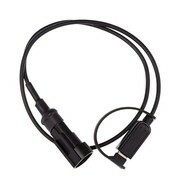 De kabel wordt verbonden middels een waterproof connector en is in het geheel eenvoudig te demonteren. 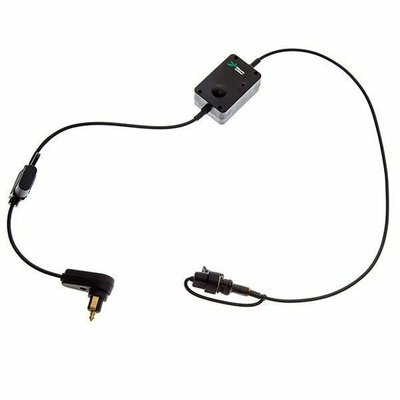 3.3 Amp Motorcycle Din Hella adapter with 2 USB ports is an ideal solution for charging a wide range of mobile devices while mounted to your vehicle. Use the power direct from your female din socket to keep gadgets charged while on the move. With 3.3 Amps of output power this will charge various handheld devices including phones and tablets at a fast charge rate. 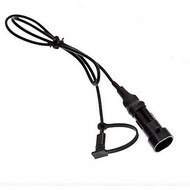 This adapter is simple to set up, the male DIN connector simply slots into the existing female din socket on the motorcycle, then plug in your compatible USB charger cables direct to your device. There is an rubber water resistant cap to help protect the USB ports when not in use.